For the past few years we've been using milk from a dairy called Øllingegaard just 40 km out of Copenhagen. We've been doing blind tastings of different milk for the past 12 years in Denmark now, tasting the milk both cold, warm and in cappuccinos, and Øllingegaard won our last tasting. On top of that it's now the only dairy farm on Sjælland and the nearest to Copenhagen which means much shorter transportation than from Jutland. We use quite a lot of milk in our coffee shops and we love a good cappuccino. 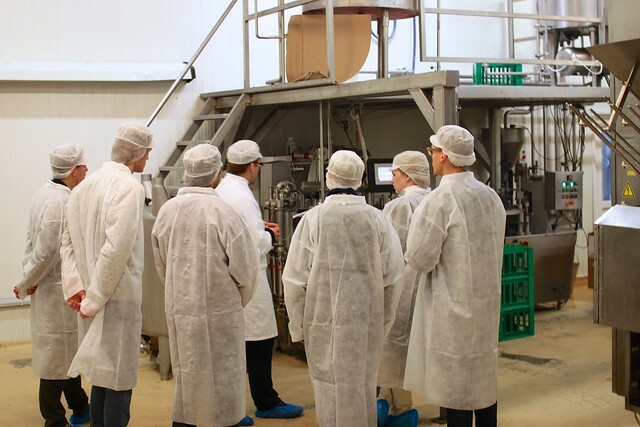 Now we thought it was time to go visit our milk supplier and learn more about what they do. So eight of us got in a rental and drove up to visit them. Øllingegaard is a small dairy owner by Solhvervfonden - a foundation committed to spread organic practices for the past 20 years. It's a for-profit foundation that use the money gathered for projects in third world countries. The dairy is situated in beautiful, old, yellow farm buildings from 1925 and have been a dairy since 1995. Of course 100% organic. As a side note, there used to be one other privately owned dairy in Sjælland called Osted Mejeri. Unfortunately they went bankrupt this summer. 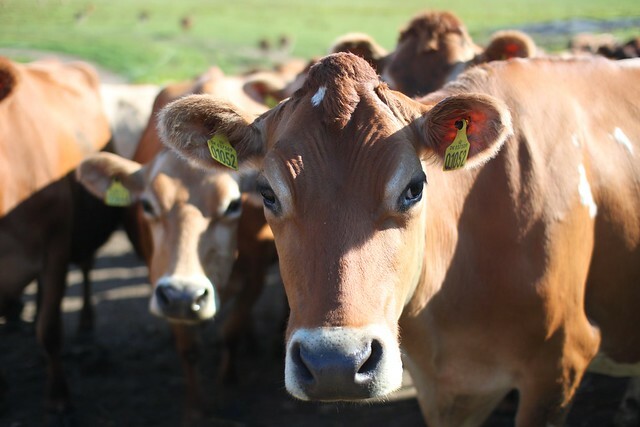 A great loss for the milk diversity in Denmark which is dominated by milk giant Arla. Now there's pretty much only Øllingegaard, Naturmælk and Thise left. Dairy supervisor Michael Christensen took us around the dairy production. 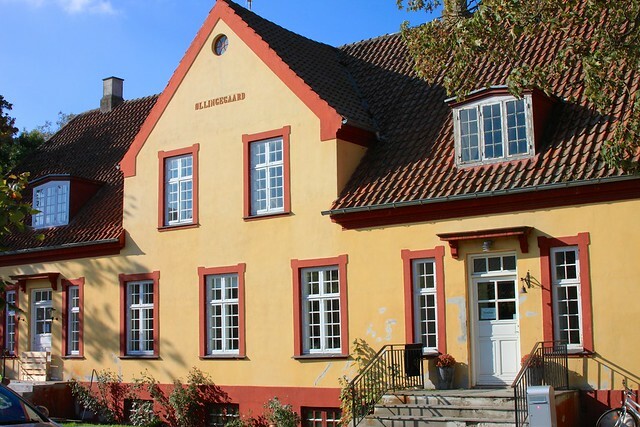 The milk is delivered from 11 farms on Sjælland within hours of milking. It used to be just 8 farms delivering milk, but since the closure of Osted three of the farms that used to deliver there have signed on to Øllingegaard. Which is good, as they really needed more milk. The farmers milk the cows twice a day, early in the morning around 5 and in the afternoon around 3 o'clock. 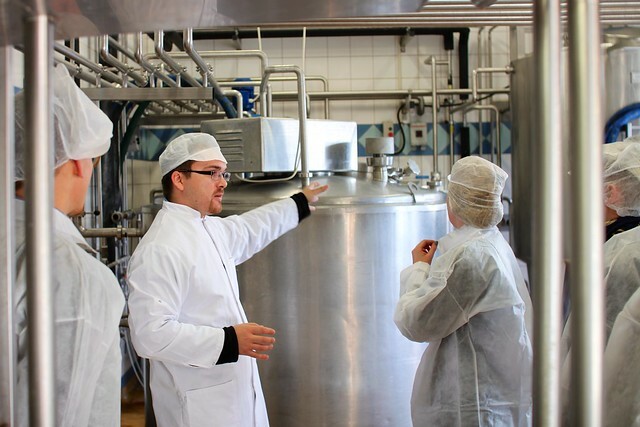 The milk is tested for bacteria and antibiotics upon arrival at the dairy. It gets filtered at the farm and again at the dairy, but in general Øllingegaard is careful about not moving or pumping the milk around excessively. Too much movement and disturbance of the milk damages the taste. Where other large dairy's move their milk several kilometres through pipes the milk at Øllingegaard doesn't travel more than a few metres. The milk is also not homogenised for the same reason, which means the fat particles collect at the top of the milk - sometimes a bit of a problem for us though. Beside fresh milk Øllingegaard does amazing butter, which have won numerous awards. It's the one we use at Godthåbsvej too. Talking to Michael about butter really reminded us about ourselves - complete geeks in a certain field. Yoghurt was another topic, and it amazing to see how much knowledge and work is behind these products. Øllingegaard churns their butter in the old-fashioned way on a huge machine and packs it while it's the consistency of mayonnaise. 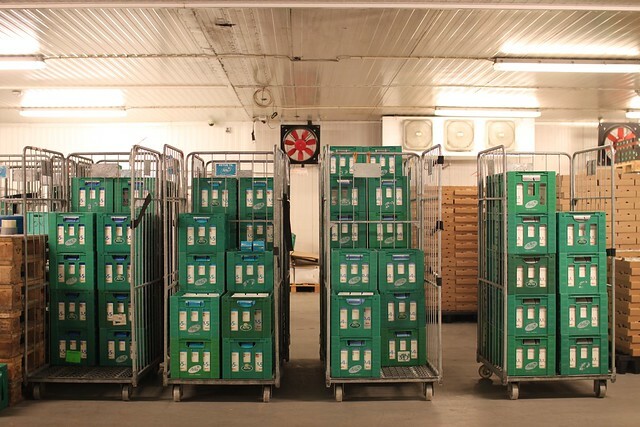 All products go out to stores immediately and Øllingegaard have been a leader in terms of milk freshness. Any products that are in excess is donated to the homeless shelters in Copenhagen. 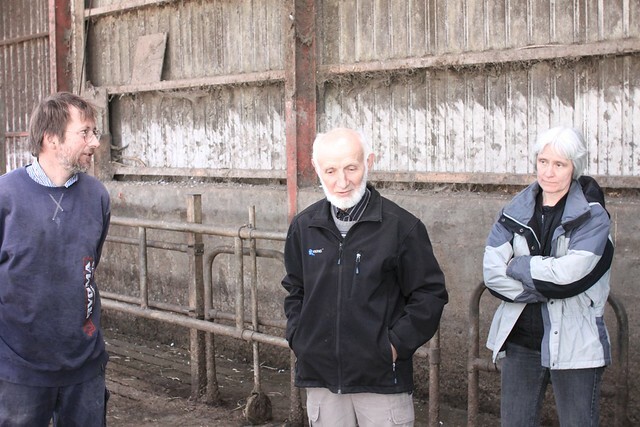 We also went to visit one of the farms that deliver the milk. Hans Peter Kamp and his wife welcomed us to their beautiful farm with a view over Isefjorden. Here they have 75 hectares of land with 100 milk cows of the Jersey breed. They bought the farm together with another family around 20 years ago, when it was in a very poor state. It hadn't been used for years and the buildings were almost falling together. They've renovated it a lot since and build a new stable for the cows. Clearly they work hard, from early morning till late evening. But as they said, it's more a way of life and there's plenty of short cuts you could take - that's just not what they wanted to do. They've chosen to be organic and not expand with too many cows, so they can keep everything running in the right way. They are self-supplying with corn and fodder/feed for the cows. It requires 500 tonnes of hay each year for the cows, so there's lots of work to do in the summer time to prepare for winter. We got to taste the raw milk from the same morning. Completely yellow and rich, with a fat content up around 6,1% (Jersey cows produce more fat and protein than the regular Danish Black & White Milk Cow breed). It tasted really fresh and aromatic and wasn't just heavy and fat. You could clearly sense the brighter herbal and floral aromas in the milk, which probably stems from the grass, weed and herb feed that the cows munch on all summer. They are still outside this time of year and aren't brought in until it starts to rain heavily. You'd think that was how all farms are, but fact is only a fourth of all milk cows in Denmark are ever on grass! An astonishing fact, but it's only a requirement within the organic certification that the cows are brought to pasture for 6 months. 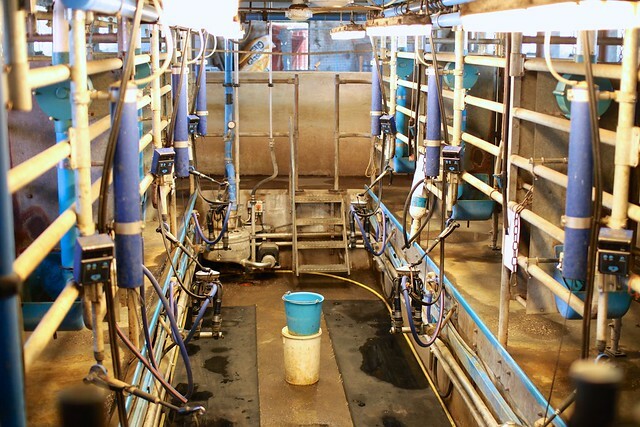 Most (3/4) of all conventional milk cows never see grass, but are kept in stables throughout the year. All in all it was great to see where our milk come from and meet some of the people - and cows - behind it. We're very proud to be working with like-minded people on this other important product in our shops, and already look forward to visiting them again. Fascinating! I wish more coffee shops sourced better milk.